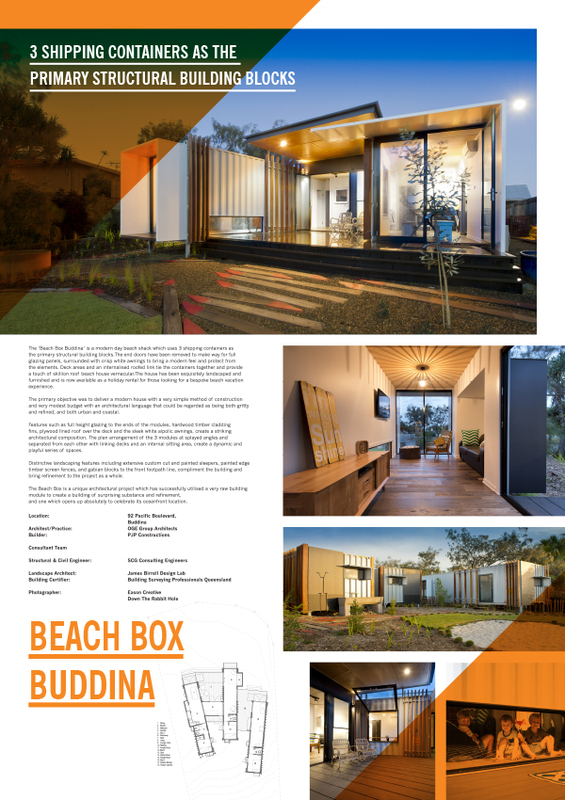 OGE Wins Award For Beach Box – Buddina / May 11, 2014 by Timothy Birch Studio. 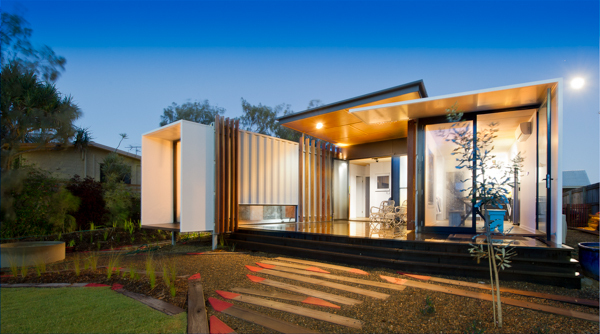 OGE Wins The Gabriel Poole Award: In addition to a Regional Commendation, The Beach Box by OGE Group Architects was presented with the Gabriel Poole Award for House of the Year. 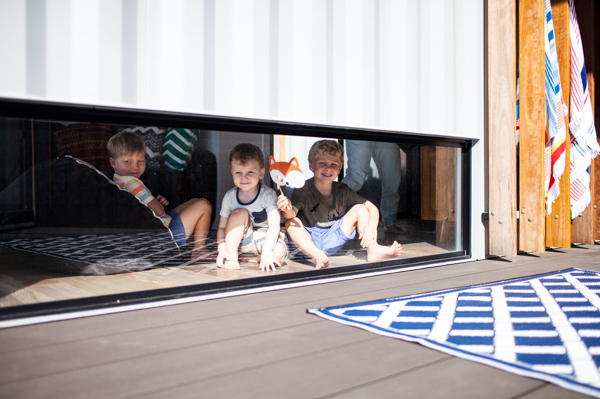 ‘The utilisation of ‘once used’ shipping containers provides a robust and cost effective opportunity to re-engage with the beach culture and mixed use zoning of Buddina. 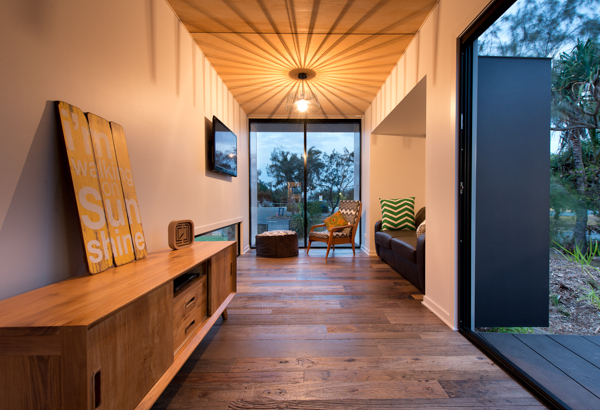 The grouping provides separate private zones with pop outs for greater internal widths, linking with decks and courtyards and a simple skillion roof over entry referencing modest beach house vernacular. 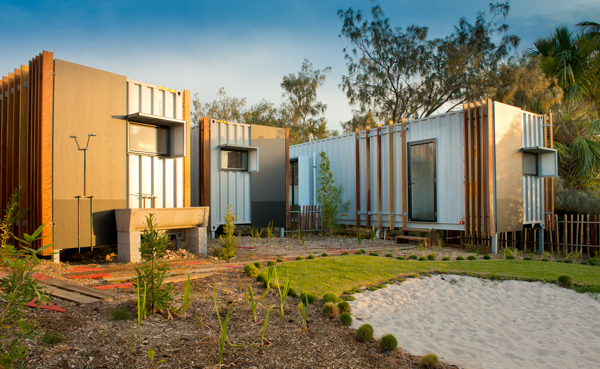 This playful use of containers, engages simple yet appropriate interiors and integration with the landscape. 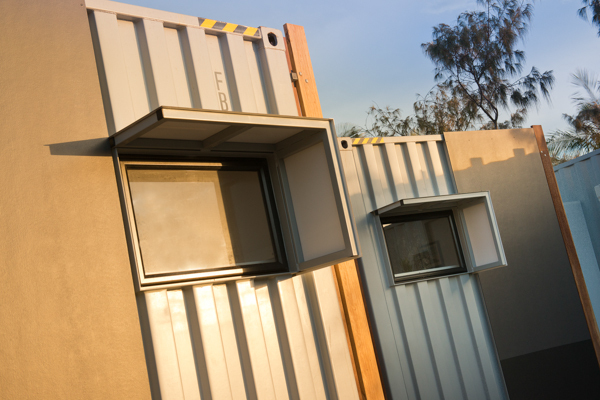 However, its power lies in the way it engages with the street and greater public domain through blurred internal/external and public/private boundaries, street furniture and through its honest and engaging presentation,’ the jury said. Challenges, awards, work in progress, our team and the passion behind our brand. All here in our blog. What's it like to work for O.G.E Group? 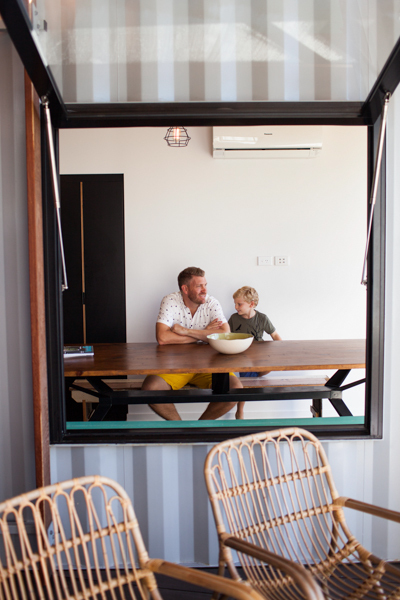 The O.G.E Team on Sunshine Coast living and working.